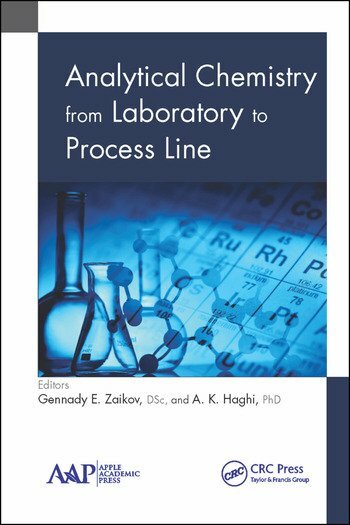 This book highlights many of the latest developments and trends in engineering chemistry research and describes the respective tools to characterize and predict properties and behavior of materials. The book provides original, theoretical, and important experimental results which use non-routine methodologies and presents chapters on novel applications of more familiar experimental techniques and analyses of composite problems which indicate the need for new experimental approaches presented. Technical and technological development demands the creation of new materials that are stronger, more reliable and more durable, i.e. materials with new properties. This volume presents new research that will help lead to new and better materials. Each chapter describes the principle of the respective method as well as the detailed procedures of experiments with examples of actual applications presented. Thus, readers will be able to apply the concepts as described in the book to their own experiments. Experts in each of the areas covered have reviewed the state of the art, thus creating a book that will be useful to readers at all levels in academic, industry, and research institutions. Engineers, polymer scientists, and technicians will find this volume useful in selecting approaches and techniques applicable to characterizing molecular, compositional, rheological, and thermodynamic properties of elastomers and plastics. Gennady E. Zaikov, DSc, is Head of the Polymer Division at the N. M. Emanuel Institute of Biochemical Physics, Russian Academy of Sciences, Moscow, Russia, and Professor at Moscow State Academy of Fine Chemical Technology, Russia, as well as Professor at Kazan National Research Technological University, Kazan, Russia. A. K. Haghi, PhD, is the author and editor of 165 books, as well as 1000 published papers in various journals and conference proceedings.